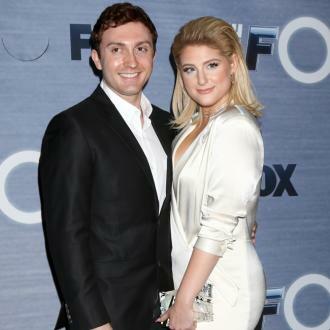 Meghan Trainor won't be writing a romantic song to sing at her and Daryl Sabara's upcoming wedding because she will be too busy to think about 'work. Meghan Trainor won't be writing a song to sing at her wedding. The 24-year-old singer has written hits such as 'Dear Future Husband', but admitted she doesn't want to write a romantic song to perform after she ties the knot with Daryl Sabara because she will be too busy enjoying herself. However, after Daryl, 25, inspired Meghan's album 'Thank You', she's asked him to return the favour and create a song for their wedding. The 'No Excuses' songstress admitted she and the 'Spy Kids' star - who have been together since July 2016 - have been talking about marriage since they met and now they can't wait to settle down and have kids together. Meghan's latest single, 'No Excuses', which is taken from her upcoming third album, is out now.